Printed Words: Cute And Easy But Not As Impactful in "Finding Audrey"
Cute And Easy But Not As Impactful in "Finding Audrey"
Finding Audrey is one of the few young adult novels I've read addressing teenage issues that can sometime be swept under the rug by society. Whilst I appreciate Kinsella's attempt to raise awareness on such events, I wasn't entirely sold by the premise of the novel. The best thing about reading Finding Audrey was the fact that it made me laugh out loud. I rarely read books that actually crack me up, and whilst the jokes may have been corny or childish, it was still funny to read. Other than that it was a very easy read, cute at times when Linus and Audrey started to explore their relationship further. 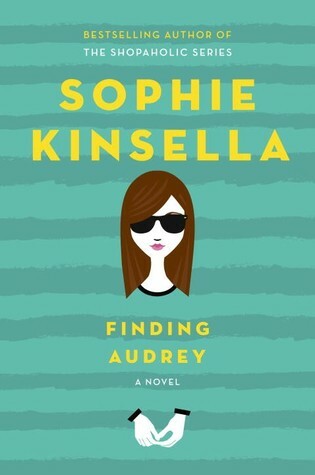 However, what was unsatisfying was the fact that while there was a big fuss around the events that traumatised Audrey, Kinsella only alludes to what happened without a full explanation. I really wanted to hear what brought about the change in Audrey - a full recount without sparing the details. Instead, I had to guess and deduce based on the clues. I also didn't find Audrey's recovery to be as realistic or as empowering as I wanted. It's hard to see a young girl struggling to even look at her parents in the eye but meet a young boy and start to make not just baby steps, but almost giant leaps. It was almost like a race although, much like any story, the journey isn't as smooth as planned. I do think that Audrey's feelings of anxiety and uncomfortableness, her struggles with adapting to a normal life, was relayed in a way where I could grasp it emotionally and sympathised with her. At the very least it was relatable and meaningful towards readers. The characters themselves had only one sense of direction, especially Audrey's mum. I found her so annoying for being overly protective, old-fashioned and trying to relate to her children but failing to. I know many readers do enjoy Finding Audrey and I did think it was a good read, just not as impactful for a novel wanting to raise awareness on serious issues.